Eye exams are an important part of overall personal health, for those with or without vision correction. We provide a comprehensive eye exam that will screen for ocular heath problems as well as check for visual deficits. 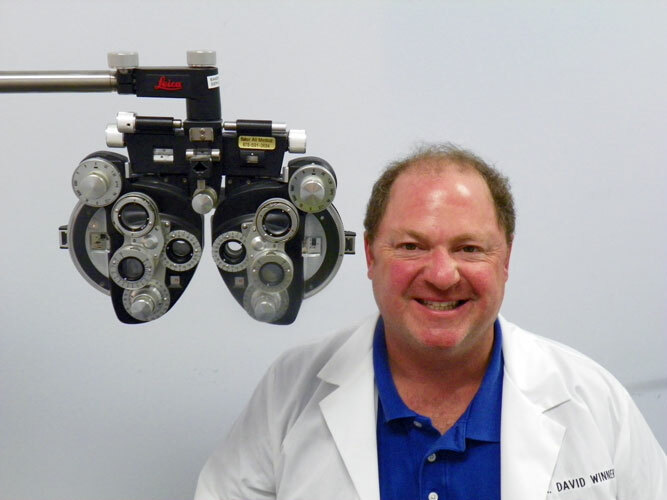 We strive to offer the most personal and attentive services for eye exams in the area. Vision is one of the most important senses so it is important to have routine eye exams. It is recommended to have an eye exam once a year, especially if you have a family history of ocular health problems. In Georgia, a contact lens exam is required every year and an eyeglass exam is required every other year. During your eye exam, Dr. Winner will check for: glaucoma, age-related macular degeneration (AMD), cataracts, and diabetic retinopathy. There are several eye conditions with the potential for severe visual disability, or even blindness, that have no symptoms. Even patients who feel that they see fine may be suffering from an eye health problem without any symptoms. We do our best to accommodate preferred appointment date and time. We will contact you to confirm.